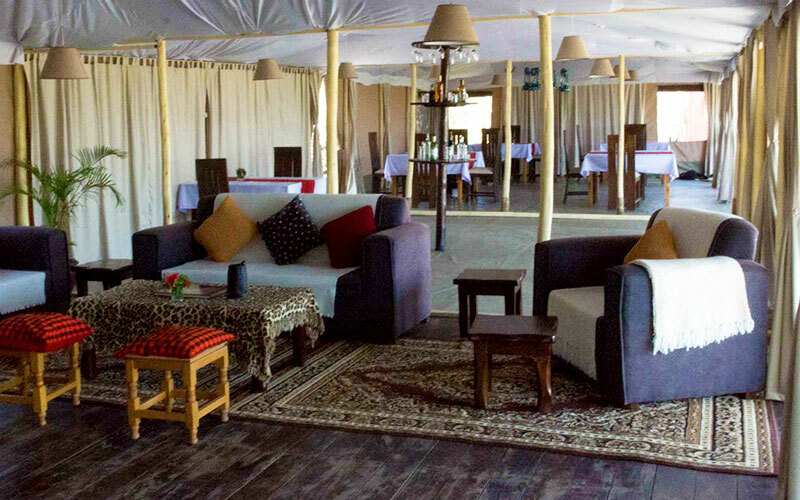 The camp has two comfy lounges with the main lounge having an adjoined bar. Here you may share the day's stories with your hosts or other guests. 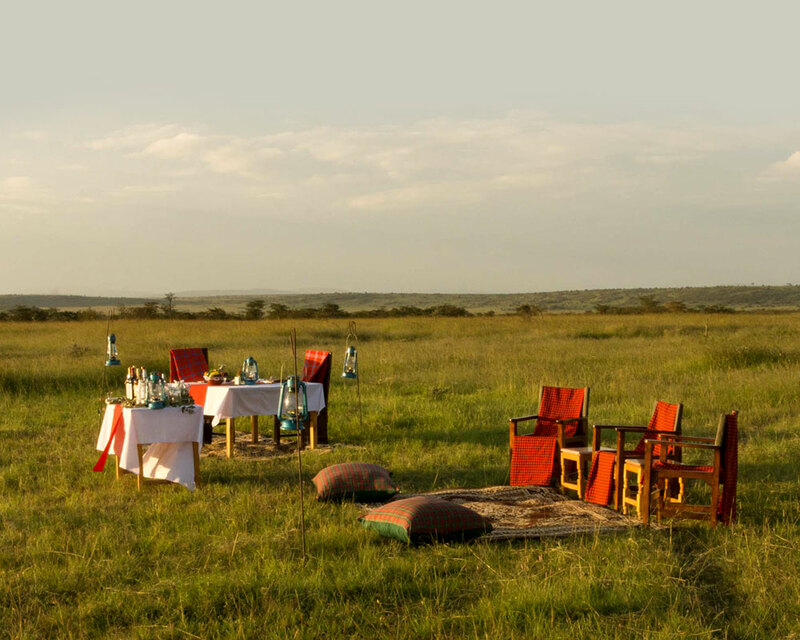 During the day the lounges have the best view of the plains of the expansive Maasai Mara and perhaps you may be lucky to capture the actions from some of our resident wildlife. 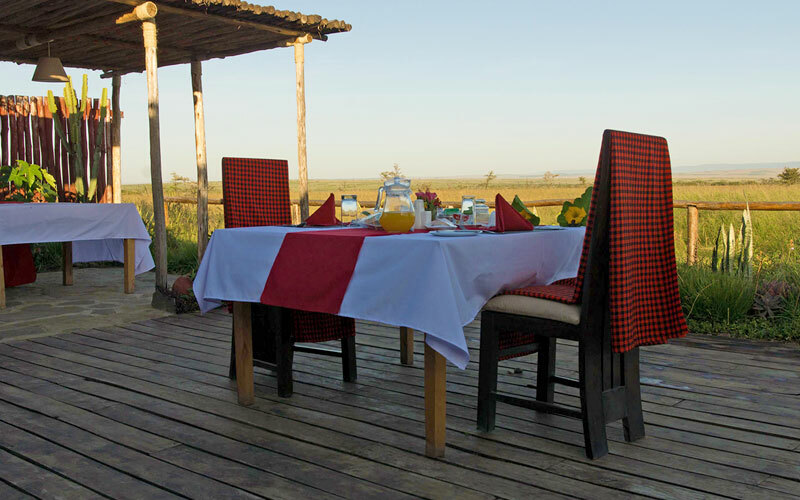 We have three dining areas to offer you a once in a life time dining experience in the bush. Our main indoor dining area is mostly used when the weather is not suitable for outdoor dining under our shaded area or under the stars dining on our wooded deck. The sound of the wild is active in the evenings. You can hear the roars of our resident pride of lions advertising their presence to other lions or contact pride members. Star gazing on open skies is so beautiful and you might even be able to able to learn about some of the constellations. You will fall in love with this place as you review your day's wildlife experience and to plan your next day with your hosts. After your dinner you may still go back to the camp fire and continue having your drinks as you enjoy the tranquility of our camp.